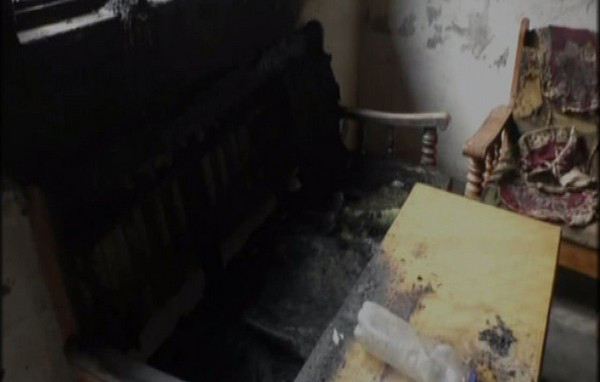 Hapur: A Muslim woman's house was allegedly set on fire by unidentified miscreants for supporting the construction of Ram Temple. The victim, Ikra Chaudhary, who is the district head of the Muslim Women's Harassment Cell, claimed she is being threatened by multiple people to avoid indulging in the matter of Ram Temple. "On December 6, I submitted a memorandum to the District Magistrate regarding the Ram Temple issue. Since then, I have been threatened repeatedly to avoid indulging in the matter, to the extent that I have been asked to leave Hapur. I fear that I may be killed by those threatening me," she said. Ikra's house was set on fire by miscreants on Monday, following which she registered a complaint with the police. Amid the fire rubble, Ikra also found a note that read "Now call your Ram" written in Hindi, which she then submitted to the police. "The police have said they are investigating the matter. However, it has been four days, and no arrests have been made. Looks like the police are looking to suppress the matter," she claimed.